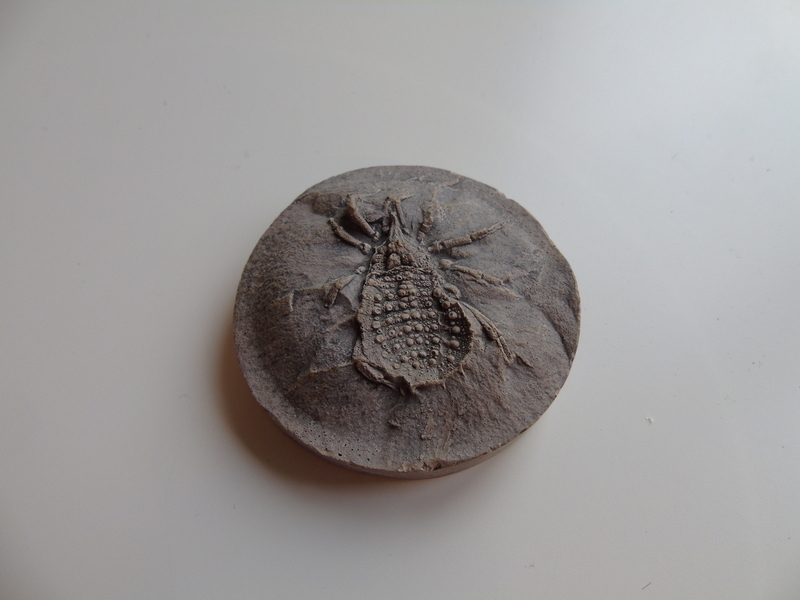 Show us your fossil replicas! Hi, I started this thread because I was kinda surprised that one didn’t exist already at this forum. I myself love replica’s to enhance my collection or to use as educational props when I visit schools, musea use them too so why shouldn’t we. 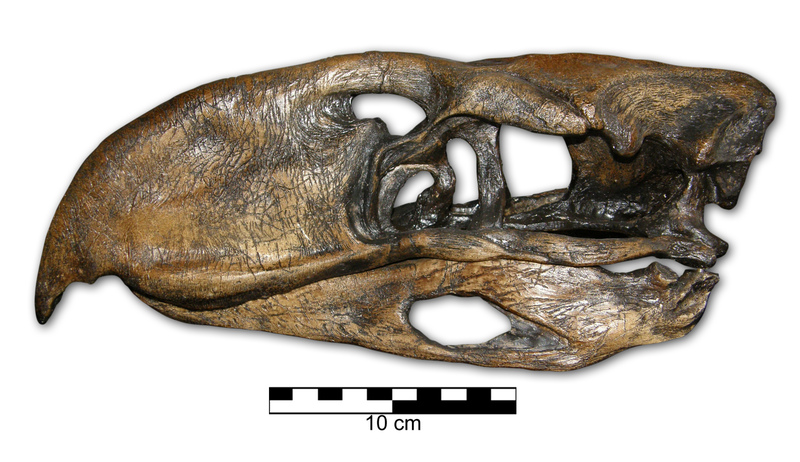 And let’s be honest not all fossils are available for the common fossil collector, not all of us can affort a T-rex skull or a mounted dinosaur skeleton and rare fossils like Archaeopteryx are only to be found in museum collections, so that’s when replica’s come into play. 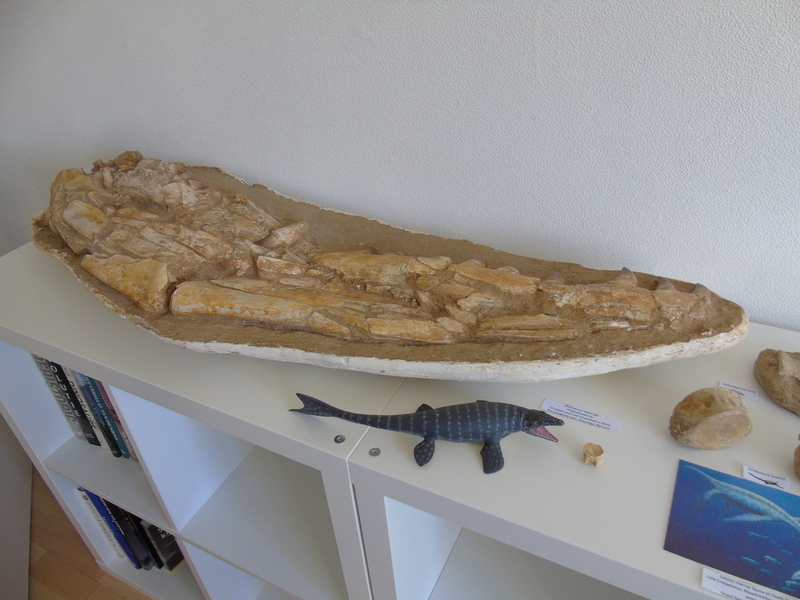 So show us your fossil replica’s, casts and reconstructions in this thread, I am very curious to see what you guys have to show! I will kick this topic off myself with the replica's that I currently have in my collection. 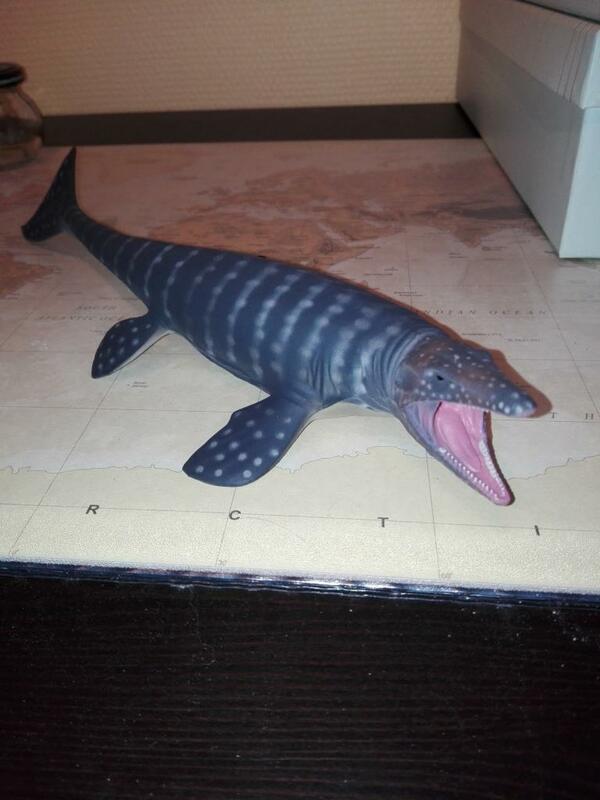 Here's a replica of Isotelas maximus from Ohio that I bought. 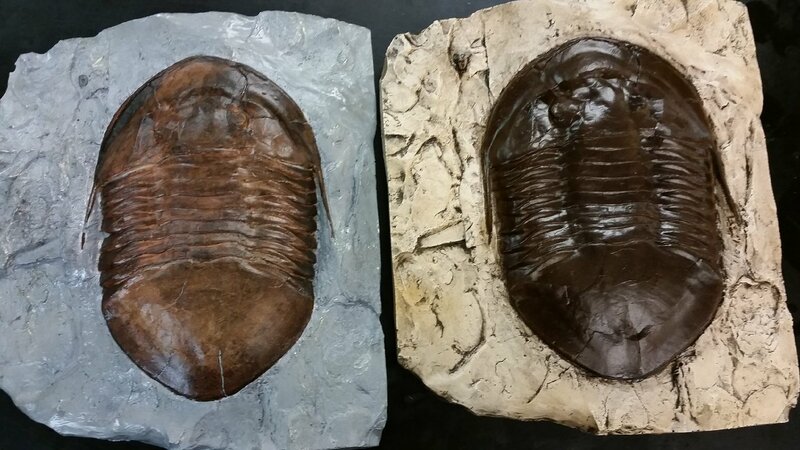 On the right is how it came, on the left is after I re-painted it to better match the fossil from which the replica was made. EDIT: I missed the plastic requirement. Mine isn't plastic. I think it may by hydrocal. it was painted and mounted by myself. 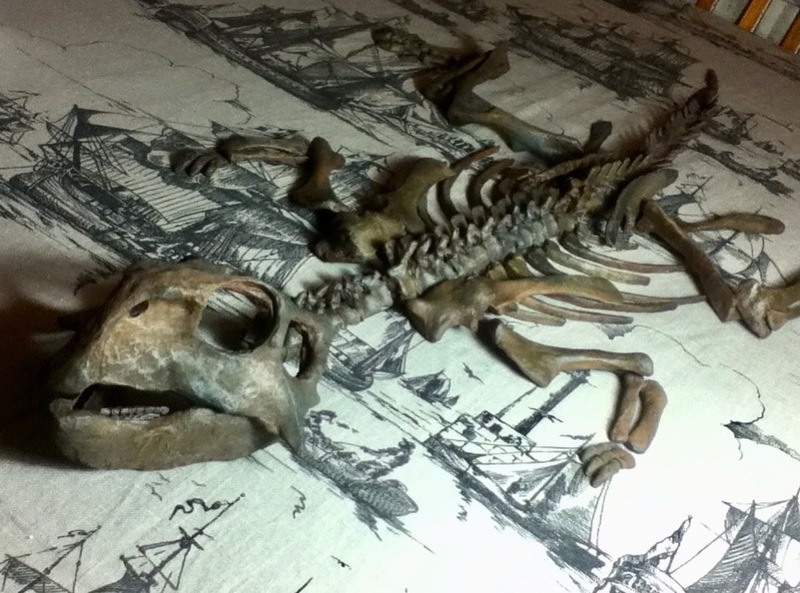 I got it from the owner of a dinosaur replica company . It is made up of slightly second casts. The owner thought it was to good to throw away. Wow that's impressive! You lucked out! I have a number of replicas that I've collected over the years. I don't think I have photos of all of them though. 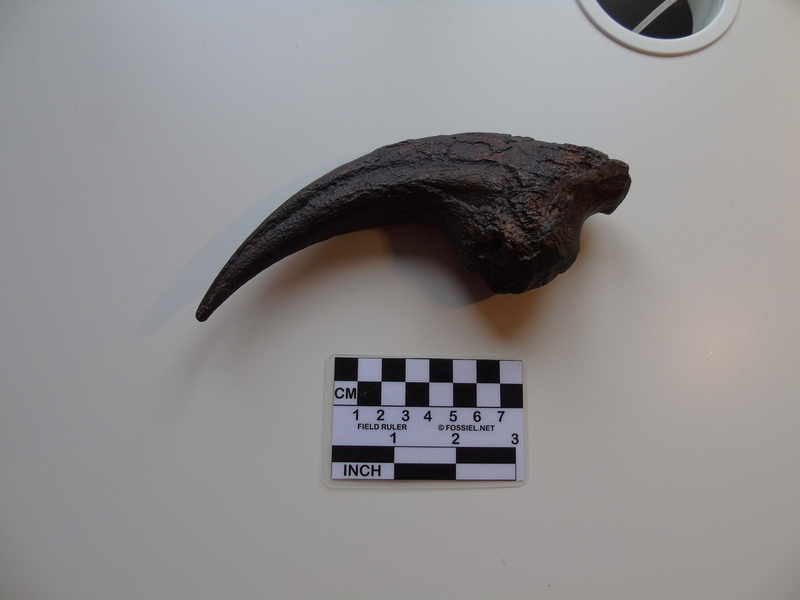 But I also made scans of a few of them using photogrammetry. One of my earliest replicas. 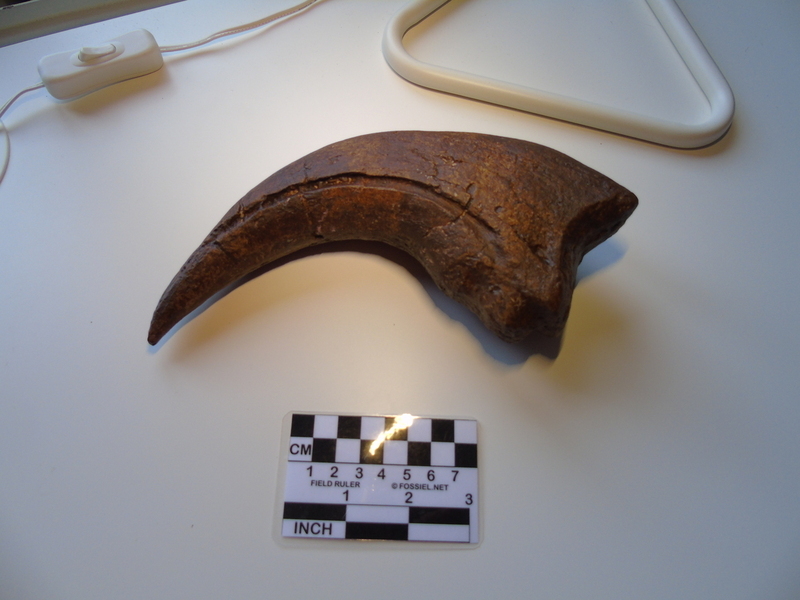 A Velociraptor claw. Still a lovely piece. Another replica I got many years ago. 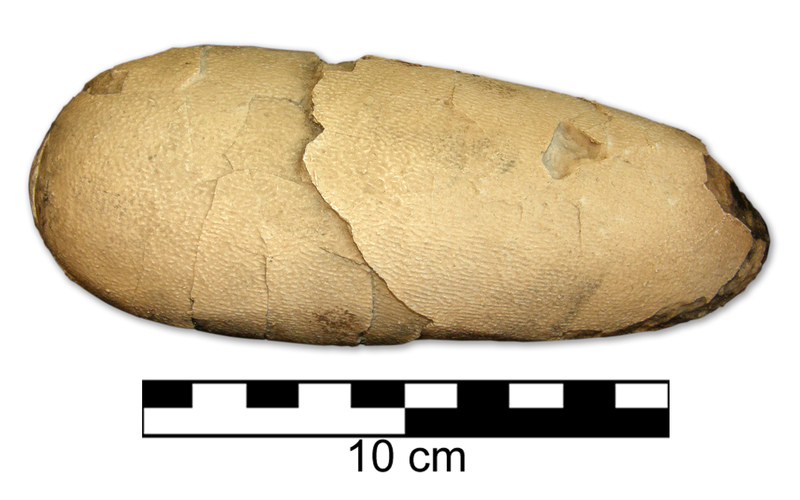 Egg of an Oviraptor. 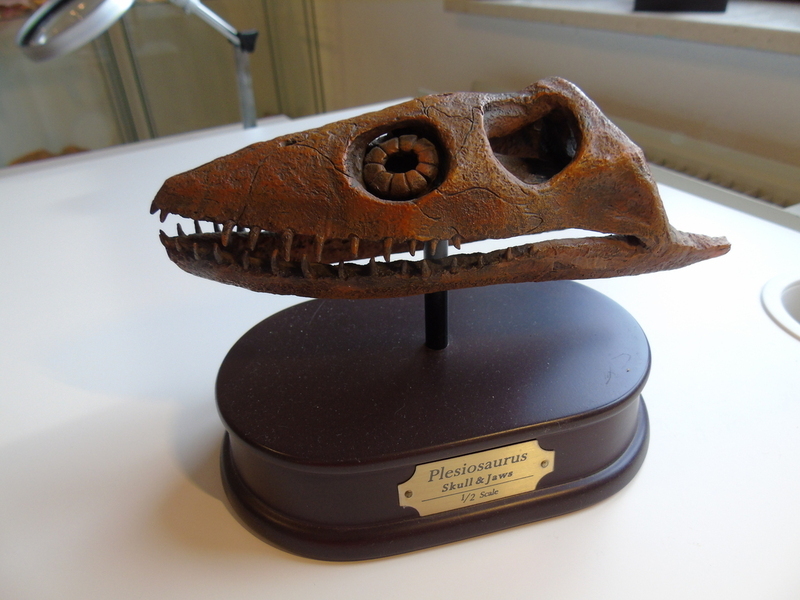 I've had this Phorusrhacos skull for a long time as well. 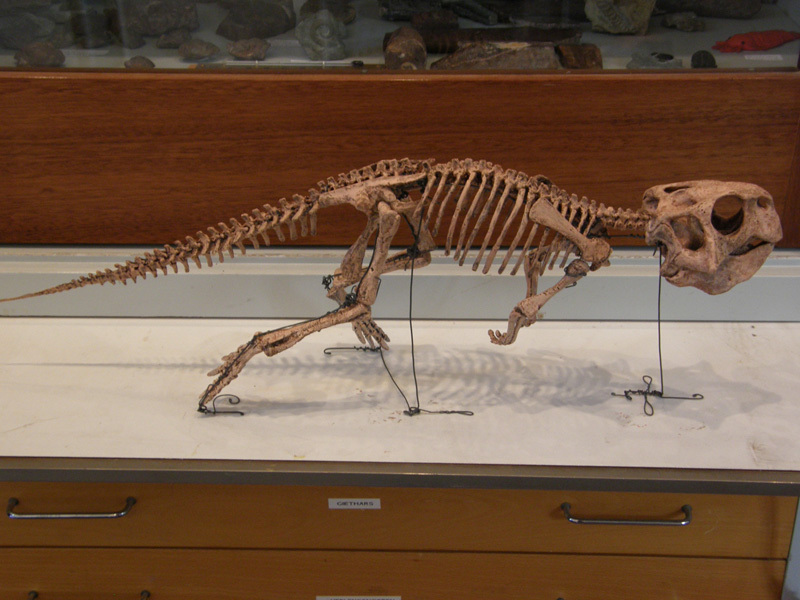 Psittacosaurus baby skeleton. Mounted and painted by me. I kinda don't like the look of the stands though, so I might revisit this one in the future. 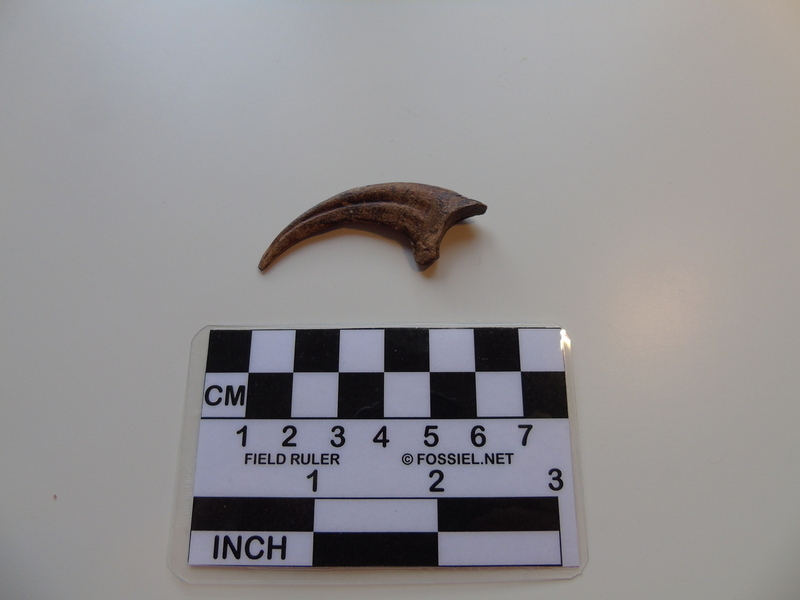 It looks like I also have the same cast as @Bobby Rico of an adult Psittacosaurus. I've had it for a while but I haven't gotten around to painting and mounting it. 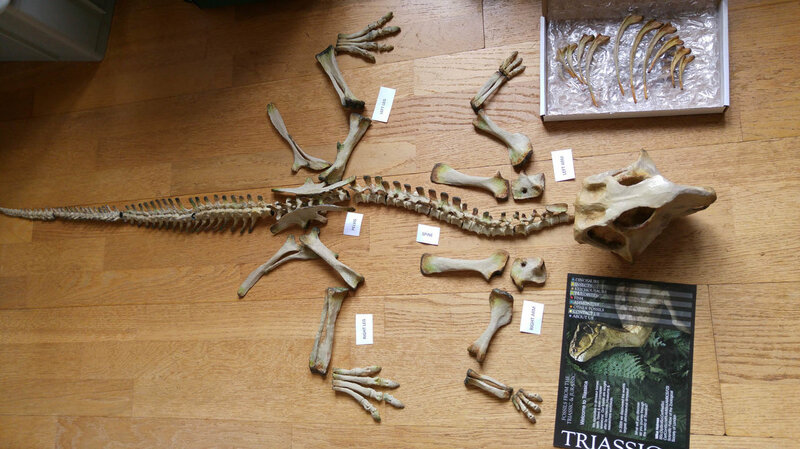 Though I have separated a bunch of the vertebrae so that I can put it in a different more dynamic pose. And there's this beauty. 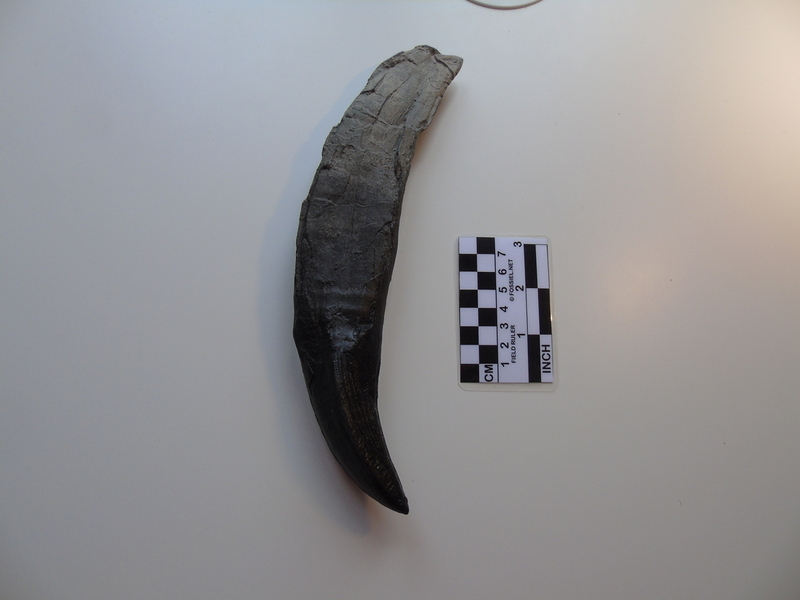 Most of the woolly rhino bones I have real ones of. But a real skull would be a bit expensive so I have this lovely cast. At 70 cm long it's an absolute unit. I've also recently gotten into 3D printing. And I might make a thread about that some time in the future. 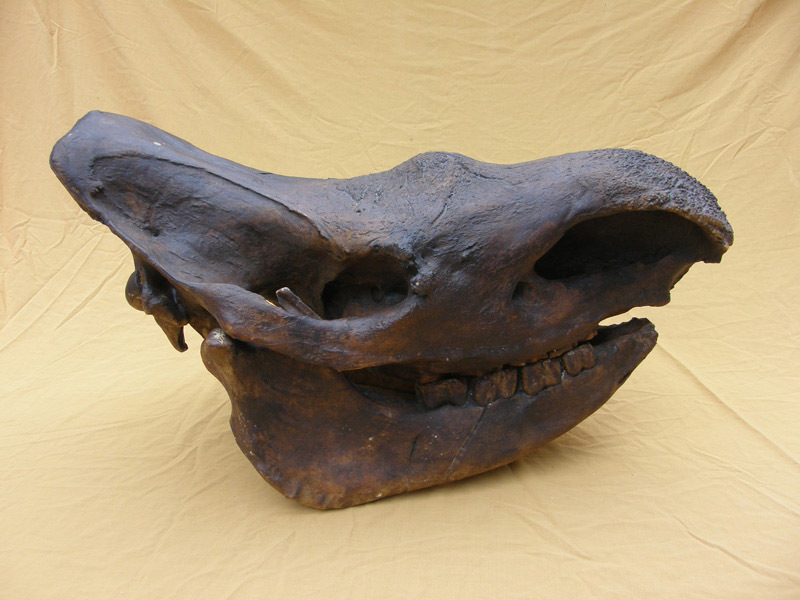 Wow lovely replica's!, especially the wooly rhino skull is amazing and a Phorusrhacos skull is definiatly on my replica wishlist as well! You got to love them parrot faced dinosaurs. I was just thinking about this the other day. Was having a look around at fossils on everyone’s favourite auction site. 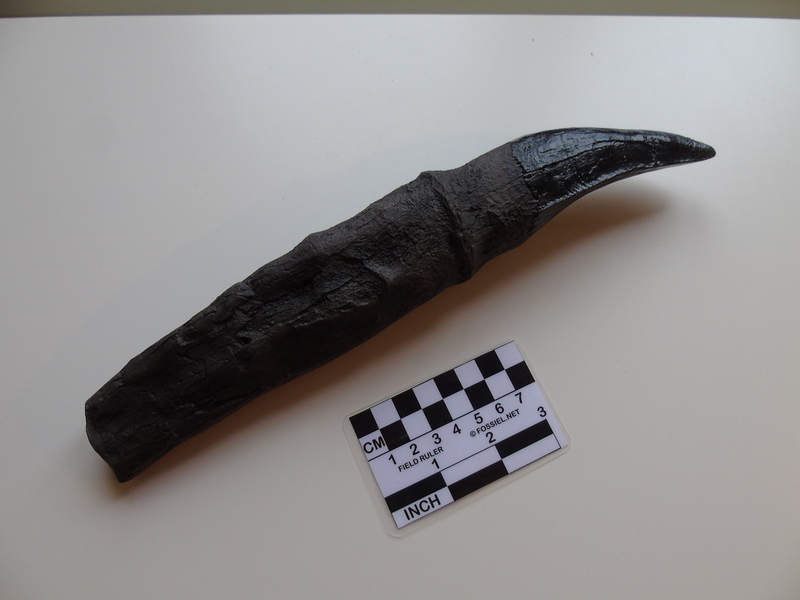 Saw a Pterodactyl cast for sale. Seller was listing it as a replica. Not trying to tell anyone otherwise. 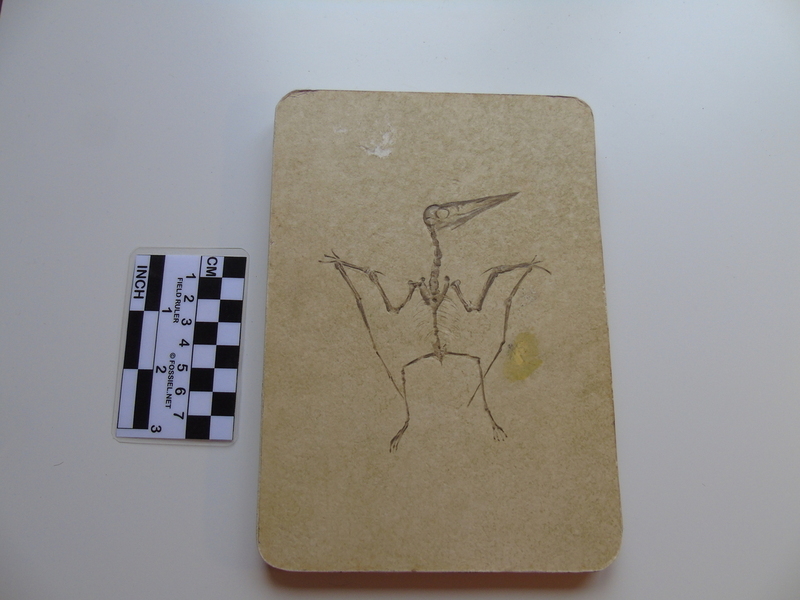 Was thinking that I will probably never own an original Pterodactyl and maybe this is the closest I would ever get. Wasnt too sure how I felt about it all though. On one hand it’s an opportunity to have a specimen of something fantastic. On the other, it’s.........fake. 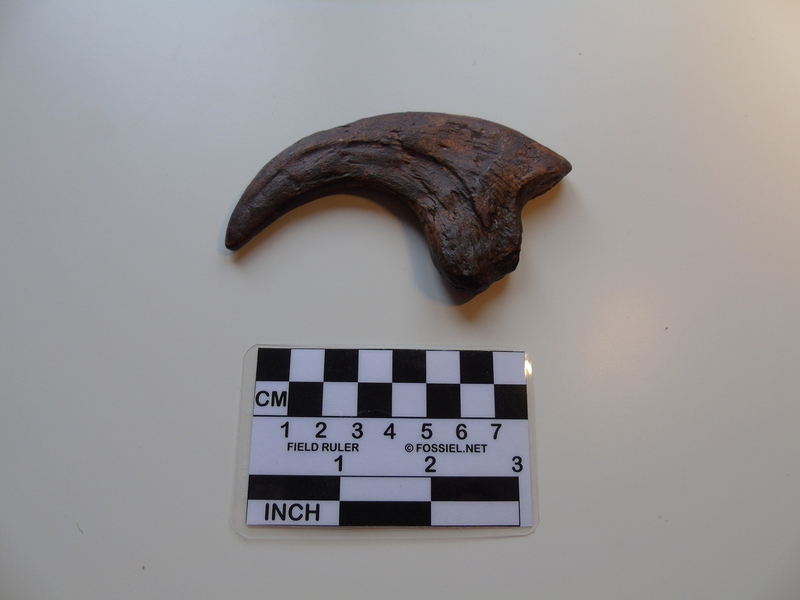 I personally think that they are a great way to enhance a collection, especially when it's cast from a genuine fossil or when it's a museum quality replica. And indeed some genuine fossils are simply out of reach for the average collector due to price or rarity, even for musea sometimes. It still amazes me sometimes how little genuine material is on display in certain musea. I have helped friends at the Tucson shows and other shows. 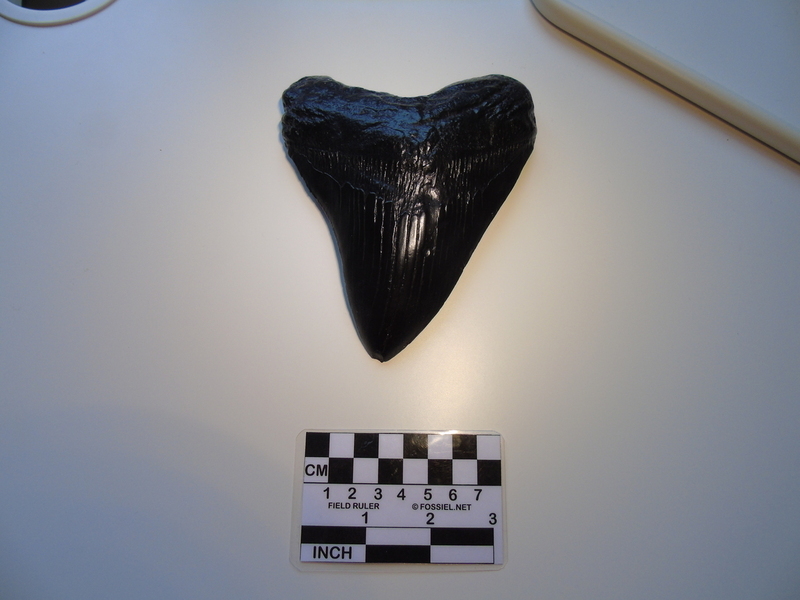 A couple of them also sold casts which they kept on a separate end of a table or a separate table from the fossils. Many people have a negative opinion of casts because they're "fake" as you said. 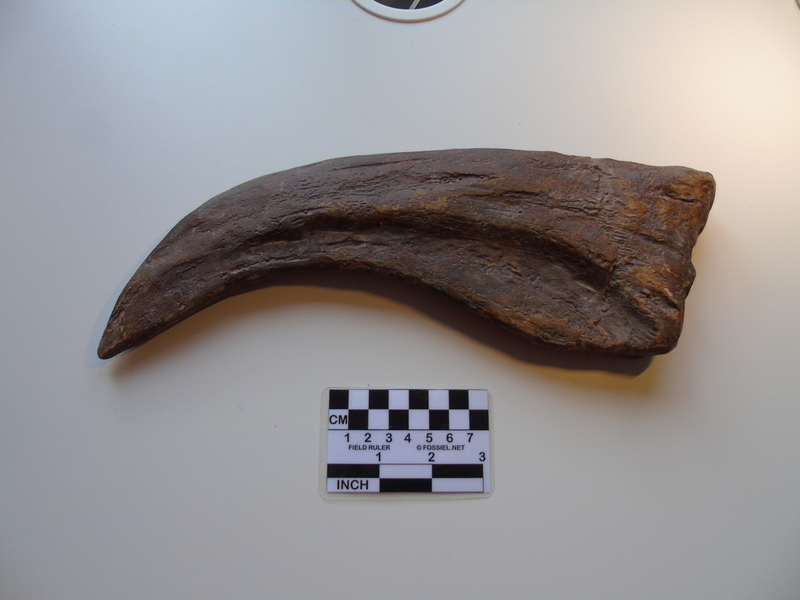 I understand the response because we all want to see actual fossils, but with a cast, you are getting an essentially exact copy of an original you can't get otherwise. 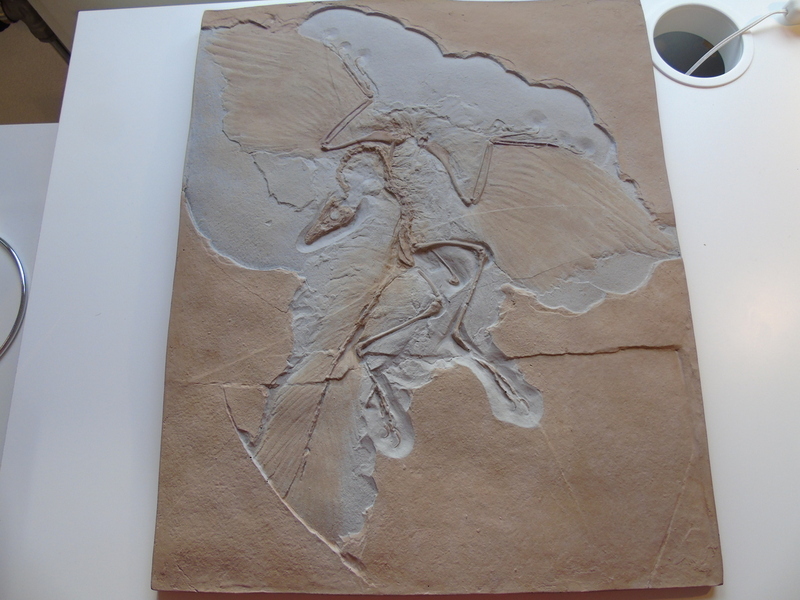 Ziggycardon's example of the Berlin specimen of Archaeopteryx is a good example. I have seen the cast at shows. It makes a nice display. It would be a cool background for several bird fossils in front of it. Most of us will never own a painting by Monet or other famous artist, but you can get an affordable print. I have a poster of Doug Henderson's Devonian scene showing several fish. I don't feel bad that I have a copy because I have the nice image. I can display it, knowing that if it gets damaged somehow, I can just buy another one. That's part of the beauty of a well-made cast as well. Hi ziggy I just found a picture of my replica before it was mounted. I hope it is ok to post. Looks like he's skipped a meal or two. 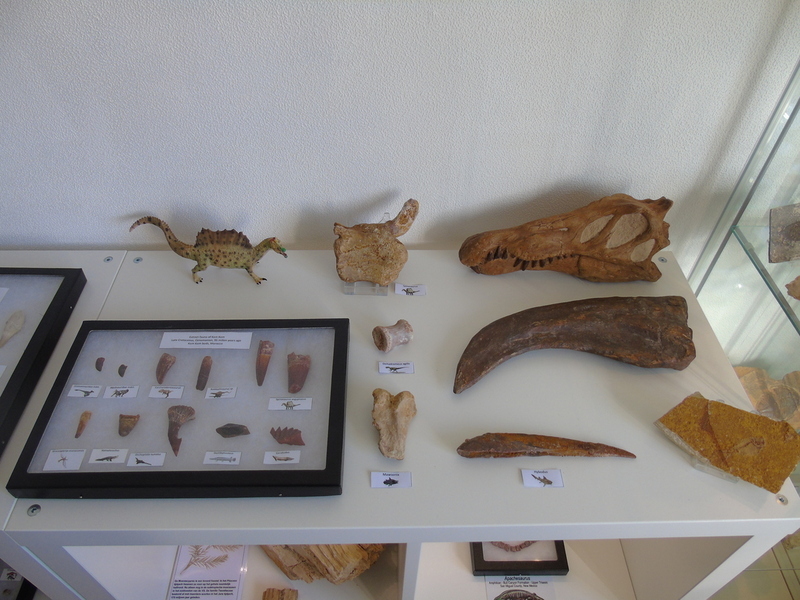 I also think for me, part of the thrill of fossil collecting is the fact that on my shelf, I have part of a creature that is 350 mya. A cast takes that element away. I don’t think we should call casts fakes but replicas. 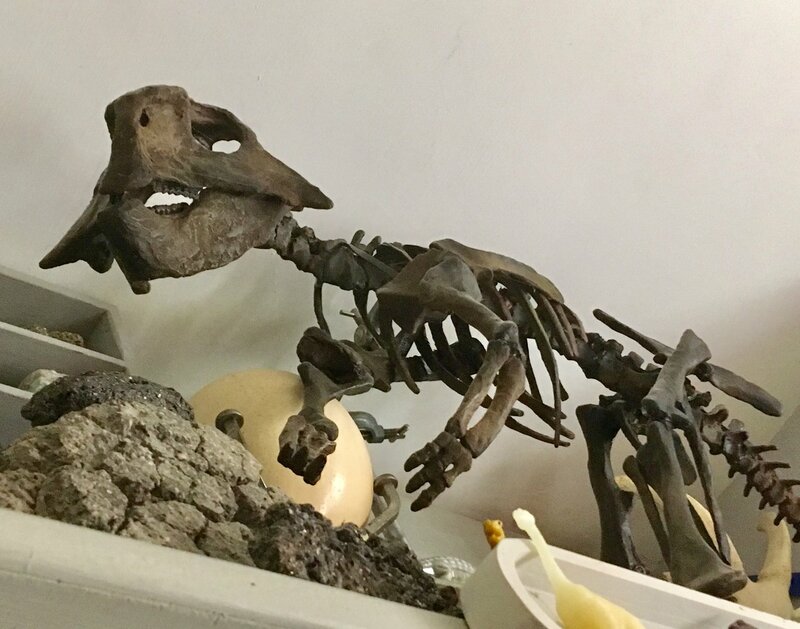 Their is a subtle differences .Probably everyone on this forum we all prefer the real deal but some well placed and nicely finished replicas can set of a fossil collection and enhance the wonderment. This is just my thoughts . Great thread by the way. I am getting really excited for mine now! Will you have to mount it yourself? 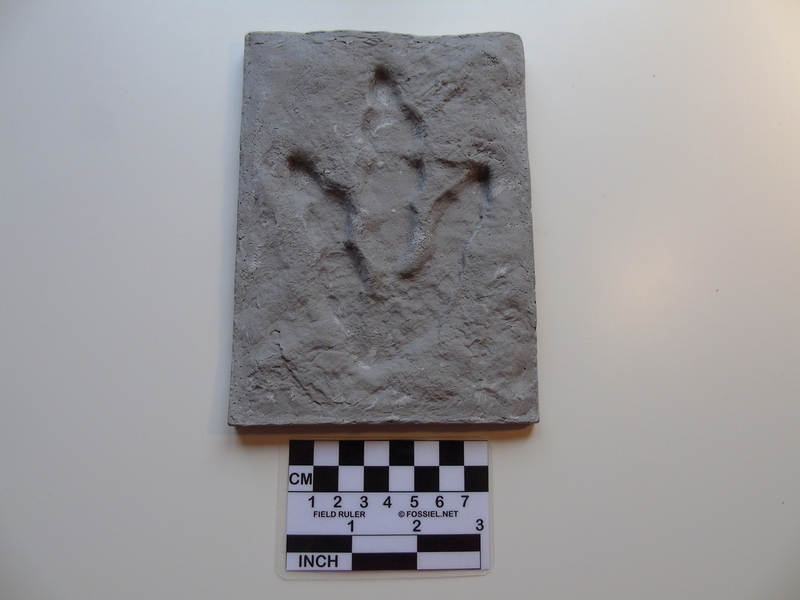 Who made your Archaeopteryx lithographica replica, ziggycardon? Well there are multiple versions available on his website, I bought the mounted version and I am not entirely sure but from what I understand is that the mounted version still requires mounting to a degree but it's made for easier and faster mounting with stand and all included. 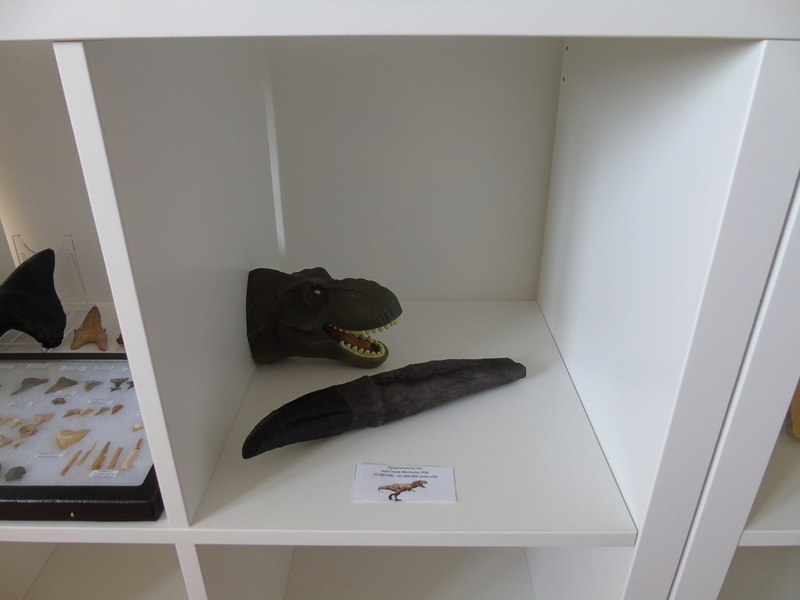 It is made by a British paleoartist who produces museum quality replica's, most of my replica claws and the juvenile spinosaurus skull are also produced by him. I'll send you the link to his webshop in a PM. Interesting topic! I like the replicas for their didatic value, never possessed one thought only a cereal box JP t-rex tooth . 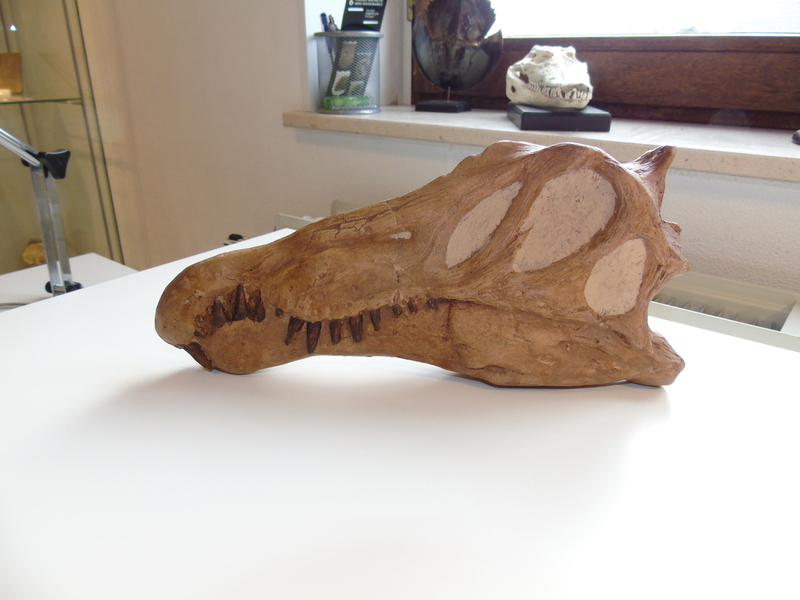 I've a curiousity: Do you(generic) use life-like models to go along with your fossil replicas? Hi, what a great replica's in this topic! Replicas have never appealed to me but having seen how well made and realistic they are I can see why they appeal to others. Everyone would love to have the real thing but sometimes it’s not possible! I for example have replica car models of a Mclaren F1 and Bugatti Veyron. I won’t ever own either but I like appreciating the beauty and detail of them. 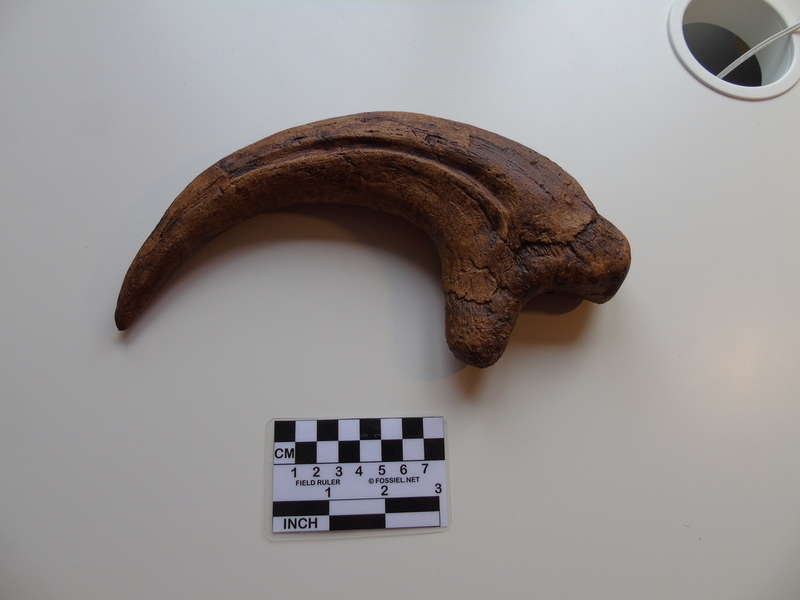 Yeah I do have models to accompany certain replica's, although I think it coheres with the fact that most replica's I own (only exection is my claw collection) are to expand my existing fossil collection. I have a Spinosaurus model to accompany my spinosaurus claw & skull replica which in their turn are used to enhance my Kem kem collection. 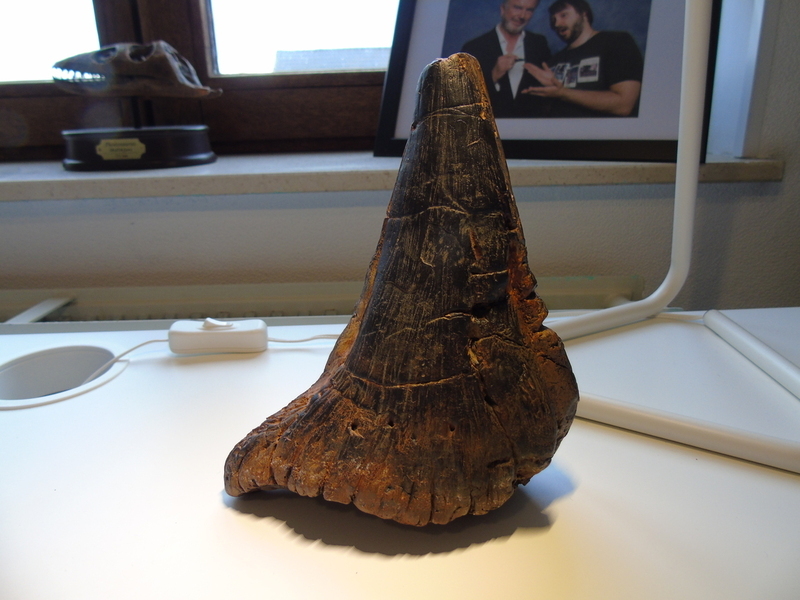 I bought it to put it next to the Mosa tooth I bought at a fossil and mineral fair.